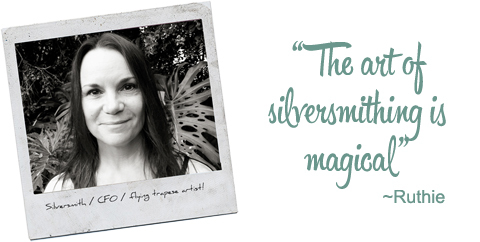 My name is Ruthie, and I am a silversmith. Originally from Canberra, since 2007 I’ve lived in Brisbane with my lovely, supportive husband and my two gorgeous sons, aged twenty and five. I love my family, visiting the sea, Lego, and books (which I read voraciously!) I've recently started circus training; and tight-wire, trampoline and flying trapeze are some of my favourite circus activities! I believe in leaving a minimal eco-footprint, kindness as religion, and occasionally turning the music up to eleven. 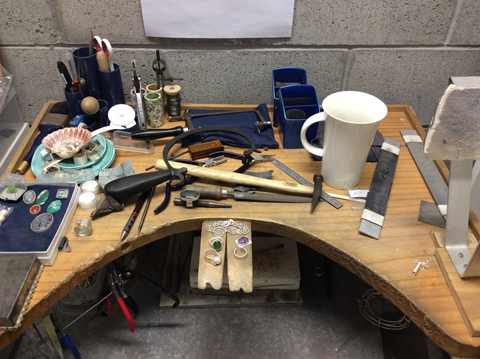 I am the CFO of an international engineering company, and I am also fortunate enough to be able to pursue my dream career operating my solo indie jewellery business, The Silver Forge. 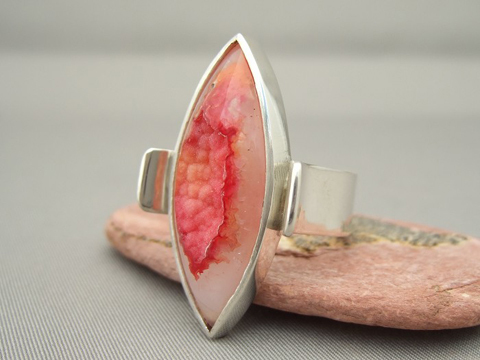 Although I come from a long line of artistic people, and like many of us have spent most of my life creating and crafting, I fell into silversmithing by accident in 2005, and as soon as I attended my first class, I just knew I had found my calling. I was thrilled to discover that my great-great-great grandfather, my great-great uncle and my great-grandfather were all village blacksmiths, so I like to think that I’m carrying on that family smithing tradition! In May 2012 I started up my little business venture, and it was then that my handcrafted pieces were first available on Made It. That same year, I completed my vocational certification at the goldsmith’s school I'd been attending since 2007, and I've never looked back. 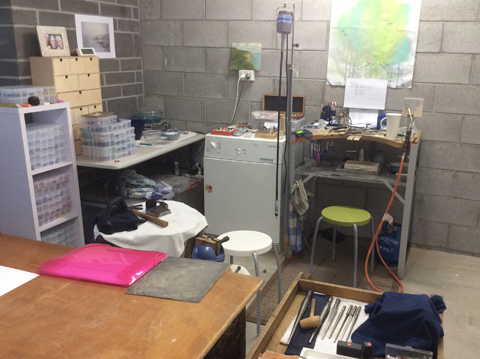 I handcraft bespoke, one of a kind, and limited edition pieces of silver jewellery in my workshop, which is located in my home. As anyone with a crafting passion will understand, my collection of tools and materials just keeps growing, and I have a space filled with pieces of metal, quirky stones, and odd looking implements; which as well as being creatively functional, bring me no end of aesthetic joy! 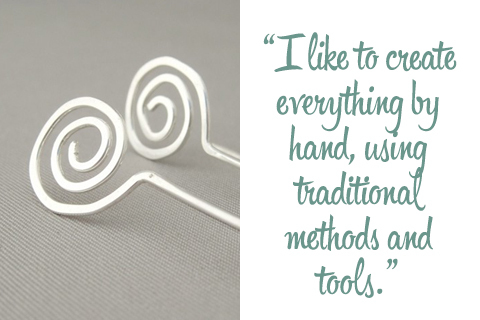 I like to create everything by hand, using traditional methods and tools. 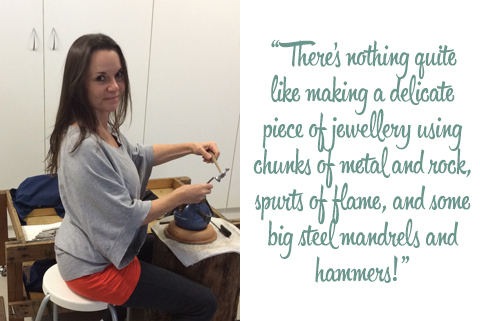 There’s nothing quite like making a delicate piece of jewellery using chunks of metal and rock, spurts of flame, and some big steel mandrels and hammers! I love science, nature, and finding out what makes the world go round. (Love does, of course, but atoms and molecules do, too!) I love stumbling across strange, fantastical mind-expanding things. 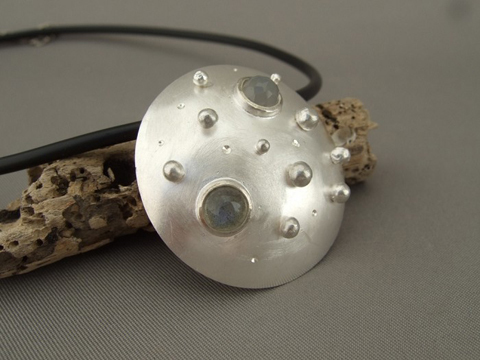 I am inspired by natural substances, and being in love with metal, stone, glass and wood, I find my design processes are often influenced by a particular stone I am working with, a piece of seaglass I find, or a theme I find myself repeatedly seeing in nature or dreaming about. I tend to like simple, clean lines, and try to showcase only one or two design elements at a time. 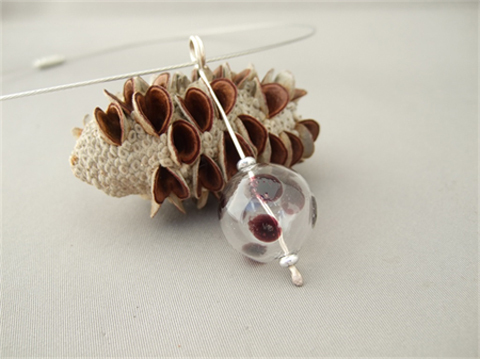 I adore colour, and love to add a bright pop of stone or glass to my pieces. 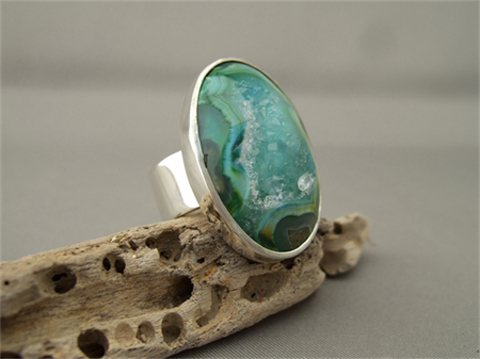 Enamelling is next on my list of skills to master! I believe the ethos of 'handmade' brings a measure of deeper consideration to our world, both due to the personal time and effort spent creating; and to the impact our consumer choices make environmentally, ecologically and socio-economically. I try to support local and indie businesses, and whilst mass-produced commercial items have their place, there's nothing quite like a handmade product that has been crafted with love and care! Whilst I'm not going off the grid or banning plastics entirely from my home any time soon, I try to consider the impact of my business choices on the environment. Recycling is big at my place, and in Australia we're lucky enough that the major supplier of precious metal sheet and wire stock refines and recycles silver from various commercial and sustainable sources. I use environmentally friendly chemicals and processes where possible. I also believe that sharing is caring, so I donate 10% of my business proceeds each month to various worthwhile charities; there are many around that are doing excellent work! Our lovely Australia-wide Made It community is a unique one, with so many genuine, caring people who work to help one another survive and thrive, both in business and in general life. I've witnessed so much compassion, sharing of resources and knowledge, and support, and I have formed lasting friendships via handmade social media that make my heart glad. 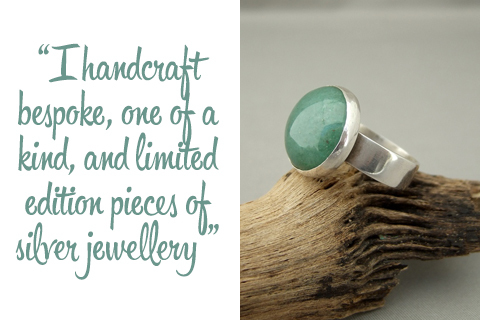 The industry of 'handmade' is such a pleasure to be part of!